Whether or not you’re a fan of the season, winter is on its way! 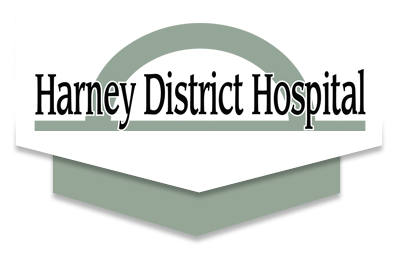 Harney District Hospital’s Safety Officer Perrilyn Wells offers some helpful tips for staying safe throughout your day. Make sure your hoses are drained and stored where they won’t freeze. You never know when you might need one to help put out a fire. Clear your walkways as soon as possible after it snows. Once you walk on it and pack it down, the snow will start to become ice. This is much harder to remove than snow. Keep some type of ice melt on hand for icy spots. When temperatures drop below freezing, remember to take care of your water pipes. Do you need to leave your cabinet doors open? Are the more susceptible pipes properly insulated? Try heat tape around your pipes or put rigid insulating foam board between pipes and the outside wall. Watch your step in parking lots and on sidewalks. Remember to take shorter steps if there is ice present or it looks like it could be icy. There may be icy areas that haven’t melted yet or were missed. Be extra careful when you exit your vehicle. Don’t just jump out like you might in the summer — test the ground as you step out. Ice grips/spikes for your shoes are great added protection. Winter is a great time to start a warm-up stretch routine. Cold muscle is more prone to injury — keep those muscles warmed up and moving. 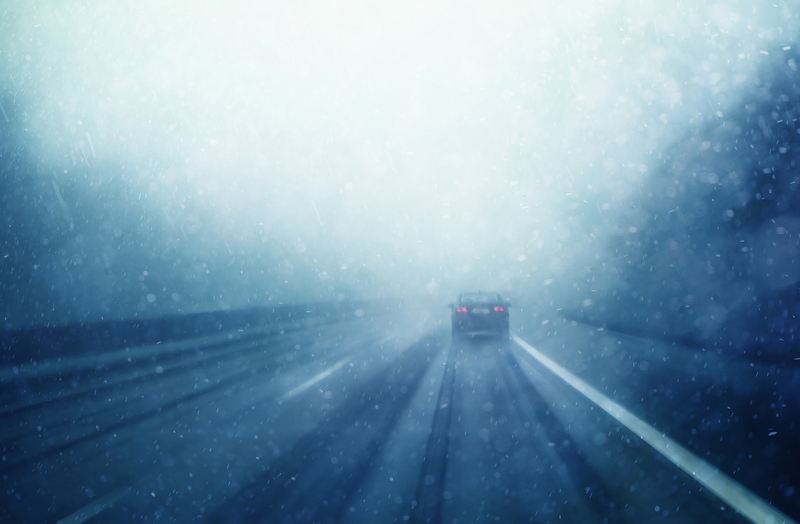 Is your vehicle ready for the colder weather and snowy/icy conditions? Whether you are just driving to work or taking a road trip, make sure you are prepared. Get your car winterized before winter arrives. The following items should be checked: ignition system, cooling system, fuel system, battery, lights, tires, heater, brakes, wipers, defroster, oil and exhaust. Switch to your winter traction or studded tires. Carry a winter storm kit in your car. It should include: a flashlight, windshield scraper, paper towels, extra clothes, matches/candles, booster cables, compass, maps, sand, small shovel, tire chains, battery powered radio, blankets, high-calorie non-perishable food (energy or granola bars) and bottled water. Make sure to fuel up before you take off. Resist the urge to fuel up where the gas may be a few pennies cheaper during the winter. If you get stuck or hit an impassable area and have to turn around, would you have enough fuel to keep the engine running? You will also keep water out of your fuel tank by keeping it full. Dress for the conditions. Wear several layers of light-weight, warm clothing. Layers can be removed to prevent perspiring and subsequent chill. Outer garments should be tightly woven, waterproof and hooded. For hands, mittens worn snug at the wrists offer better protection than fingered gloves. A good-quality, warm hat is always necessary. You lose a lot of heat from your uncovered head. Keep apprised of advancing winter weather. Listen to radio or TV weather forecasts. You can also use Tripcheck.com for road conditions in Oregon, or dial 511 from your cell phone and follow the prompts (but not while you are driving!). Let others know your plans and estimated time of arrival. Try not to travel alone, and drive in convoy when possible. Drive carefully and defensively. If you do not have antilock brakes, you should pump your brakes when trying to stop on snow or ice covered roads. If weather conditions are testing your driving ability, seek available shelter immediately. If you get stranded, STAY with your vehicle. This cannot be stressed enough! The best thing to do is stay in the vehicle. If you leave your vehicle to find help, you may find yourself in a worse situation. Stay put and stay dry. Tie a bright-colored cloth to the antenna so rescuers can find you. Vehicle exhaust fumes contain large quantities of carbon monoxide. If you are stuck in a vehicle, make sure the exhaust pipe is clear of snow, ice or debris and only run the engine for short periods to maintain warmth in the vehicle. While the engine is running, turn on your interior lights so that rescuers can see you. Open your windows to let fresh air in. Take it easy out there. Give yourself extra time to get where you need to go. When you feel rushed, you may be tempted to go a little faster. Better to be a few minutes later than to not get there at all. Better to walk a little more slowly along those icy sidewalks and parking lots than take spill.